Our Story - Muirfield Association, Inc. In 1968, Jack Nicklaus teamed up with prominent architects, designers, and builders to fulfill his dream: converting an unspoiled rural area outside the village of Dublin, Ohio, into a world-renown golf club and living community. The result is the Muirfield Village Golf Club, which sponsors the annual Jack Nicklaus Memorial Golf Tournament, and the premier residential community of Muirfield Village. This unique environmental community was designed by Jack Nicklaus, Muirfield Ltd., teams of skilled planners, architects and builders. The long vistas, woodlands, streams, lakes and open areas have been good neighbors to hundreds of families who are part of one of the premier communities in central Ohio. 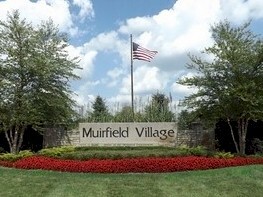 Muirfield is a family-friendly community that attracts residents from all stages of life - busy singles, young couples, active families, empty nesters, and energetic retirees.